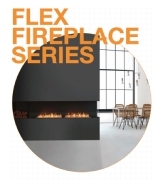 The single sided, zero clearance Firebox 1000SS offers the versatility to integrate effortlessly in commercial and domestic settings ranging from homes, units and townhouses to offices, restaurants and bars. Featuring a toughened glass Wind Screen Static for safety and housing the EcoSmart XL700 ethanol burner, it’s perfect for environments where an elongated flame is required. 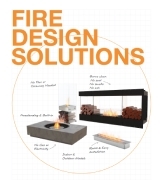 The Firebox 1000SS is a manufacturer approved surround for the UL Listed XL700 burner. 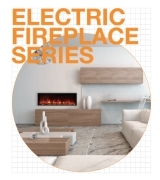 EcoSmart Fireboxes do not require gas, flue, chimney or an electrical connection so installation is quick and easy. The Firebox 1000SS is fuelled by readily available, clean-burning, environmentally friendly e-NRG bioethanol. Purpose-designed baffle insert allows you to further stabilise the flame while simultaneously increasing fuel efficiency. Sophisticated industrial design features allows the Firebox 1000SS to work with a broad range of building materials and finishes. 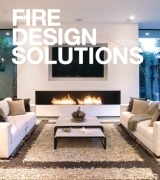 Creating your own unique wall mounted ethanol fireplace is easy with this zero-clearance fireplace insert. Operational accessories designed for safe and ergonomic fire ignition and extinguishing are included.